A fabulous article on WineBusiness.com! Thank you to WineBusiness.com for writing such a vivid and informative article about our recent adventures at our new tasting room and the 5 gold medals we received in San Francisco. Please click here to enjoy the article and let us know what you think...cheers! The Pinot Noir Summit in San Francisco was an incredible event and a very successful one for Dawn's Dream. We are so proud to see a gold medal around the neck of all five of our fabulous Pinot Noirs. This is an exceptional accomplishment and we would like to thank everyone involved with the event for making it such an enjoyable evening. Please visit the Pinot Noir Summit's website here to see a complete list of award recipients and to receive more information about next year's competition. Cheers! Looks like Dawn’s Dream has hit the bulls-eye! We are overjoyed to share recent news of our success at the 12th Annual Pinot Noir Shootout, the most comprehensive and focused tasting of Pinot Noir in the US. In our first time submitting wines to this prestigious event, we were honored to stand alongside 450 of the best and brightest Pinots in the country. In the end, ALL FIVE of our fantastic Pinot Noirs received the highest honors of the Gold Medal. Thanks to our wines, we have been invited to participate on March 9th in the San Francisco Pinot Noir Summit taking place at the Golden Gate Club. We invite all of you to join us for this indulgent event on Sunday, March 9th. 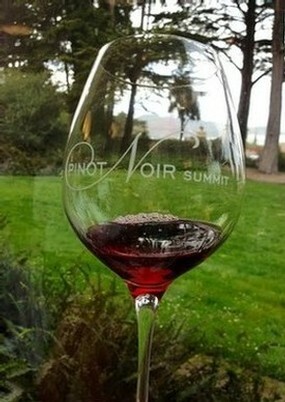 You can purchase tickets and see the full list of award winners on their website at Pinot Noir Summit. All of us here at Dawn’s Dream Winery would like to extend our deepest thanks to the organizers, judges, and our fellow Pinot professionals who, together, allowed this year’s Pinot Noir Shootout to be such a glimmering success. We look forward to representing the Pinot Noir varietal for years to come at this fine competition. Catch a glimpse of the talented East End Wine Row tasting room managers on local TV station KCOY! Home of the largest commercial and homewine competition in Southern California, the Orange County Fair Wine Competition awarded Dawn's Dream Winery with extra shiny new decorations. It seems our beloved "Santa Lucia Highlands Three Sisters Trilogy" may now officially be called the favorites. Our 2011 "Alyssa" Pinot Noir received a silver medal, and both 2011 "Rachael" and 2011 "Nicole" Pinot Noirs received bronze medals. We are pleased to announce this happy news, and hope every one of you will be able to enjoy our newly honored wines. 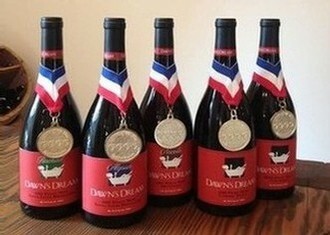 Dawn's Dream is proud to be the recipient of these respected awards, and we gladly extend our gratitude to the organizers, judges, and our fellow wineries who made this year's Orange County Fair Wine Competition a wild success. Please stop by our tasting room any time for a flight of our freshly awarded and spectacularly elegant wines. We're Starting the Spring Fling at Lunch Time! We have decided to start our Dawn's Dream Spring Fling Dream Team Luncheon EARLY! Instead of starting at 1pm, we will be flinging open Galante Vineyards' gates at noon on May 11, 2013. We want to focus on making our dear Dream Team wine club members feel extra special by honing in our celebration to a delicious spread of BBQ lunch (noon to 3pm). So, with that in mind, plan to arrive at 12pm on May 11. As always, Cloud Nine members receive one free ticket (worth $25), and Dream Catchers receive two free tickets! General admission is $25 a ticket. Looking forward to seeing you all there--dressed in your finest winery-wandering duds!